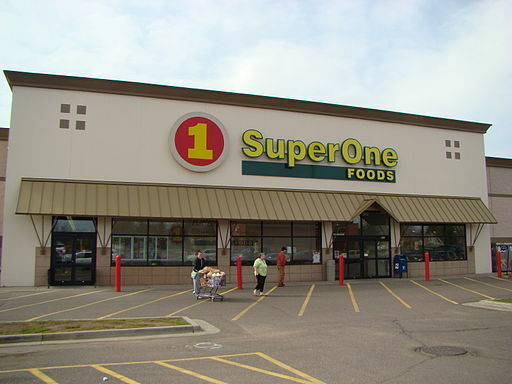 Super One Foods began in 1943 when a tavern was opened by Tony and Ida Miner in Grand Rapids, Michigan. Tony added a milk cooler and bread to the items they sold when he realized that a majority of the customers left early in the evening in order to purchase their milk and bread before the grocery stores closed for the day. The addition of bread and a milk cooler marked the beginning of the grocery business. The first grocery store was built in Grand Rapids, and was named “Miner’s Market.” In 1954, the name was changed to “Piggly Wiggly” and they joined the Piggly Wiggly franchise for name recognition. The second store was opened in Virginia, Minnesota in 1963. A third store was opened two years later in Duluth. This location was made the company headquarters shortly thereafter because the company’s major suppliers were based at the location. A new warehouse style store was opened in 1975 when son Jim took over the company and it was named “Super One.” The number of warehouse style Super One stores has grown, while the other smaller stores have dropped the Piggly Wiggly franchise name and have taken on other names. It has plans of establishing a new store in Superior, Wisconsin.